You are here: Home / Hashes & Events / Pinelake #1386-- GREEN DRESS! Time: Meet at 2:00 pm, take off at 2:30pm. Cost: $15. What will that get you? Beer, shots, give-aways and food. Special Info From Hares: Wear a green dress!!!! Come out and run/walk/crawl this year’s Green Dress Run! Show off your daintiest dress and with rest of your *fabulous* hasher buddies. The trail will be about 3 miles so wear comfy shoes and THERE WILL BE SHIGGY! 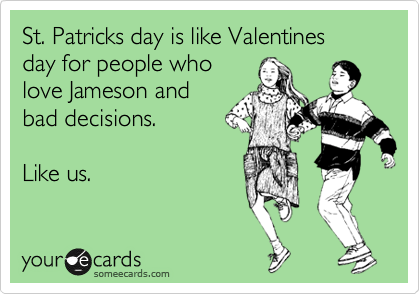 We will have 3(ish) beer and shot stops plus green beer at the end. We will have food (Subway sandwiches or something similar). "That's not enough fun and excitement for you?" "Well how about this idea - A KICK BALL GAME AT THE END! Ooooooh sweet baby jesus!" That's right, my little hounds, we will be playing kickball at the end in our green dresses! Take I-20 East to Maynard Terrace (exit 61? Google maps is failing me right now). Turn left on Maynard Terrace to Memorial Drive. Take a left on Memorial and start will be on the left. We won't be hard to miss.